South America is a popular destination with all kinds of visitors from backpackers to luxury holiday-makers, and some opt for the freedom of a self drive holiday, which we highly recommend! Hiring a car means you get to see some pretty amazing scenery, and are in complete control of your itinerary, so you can stop to take photos of said scenery whenever you like! Do you dare take on Death Road? It’s got all the ingredients for a dangerous road: cliffs with sheer drops, a very narrow single lane, hairpin bends, no guard rails… Plus, at its summit you’ll be 4,800 metres above sea level, and at the bottom you’ll be in the steaming heat of the Amazon Rainforest… In winter, the rain and fog make visibility terrible and mudslides are a common occurrence. 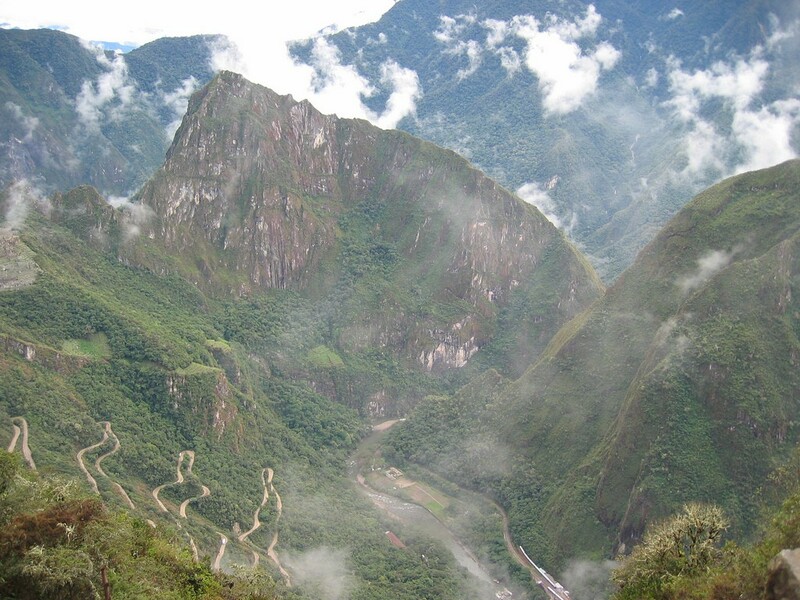 While in summer the dust clouds cause even more visibility problems and rockfalls happen daily… Yes, we think the Yungas Road in Bolivia deserves the name ‘Death Road’, and no, we wouldn’t recommend a road trip here! But that doesn’t seem to put some people off, as it’s become one of the most popular tourist spots in the country. Every year hundreds of people head down the Yungas from La Paz to Coroico (despite the fact there’s a much newer, less dangerous road! ), either by bus or, wait for it… bike! There are many reputable tour companies who offer the trip, and safety is their absolute top priority, so if you are brave enough to free wheel down the steep and rocky road at least you’ll be in good hands! There are plenty of dangerous, unpaved roads into the Amazon, but the BR319 has to be one of the worst roads in South America; a colossal 500 miles of “highway” through the rainforest from Porto Velho to Manaus. The combination of remote location and poor workmanship has led to much of the road being washed away, while other sections have crumbled and cracked causing great craters in the ground. Although the bridges are replaced regularly, the wooden struts often rot and break, and the road becomes practically impossible to navigate in the rainy season when the clay ground turns into a boggy mess. However, don’t worry! 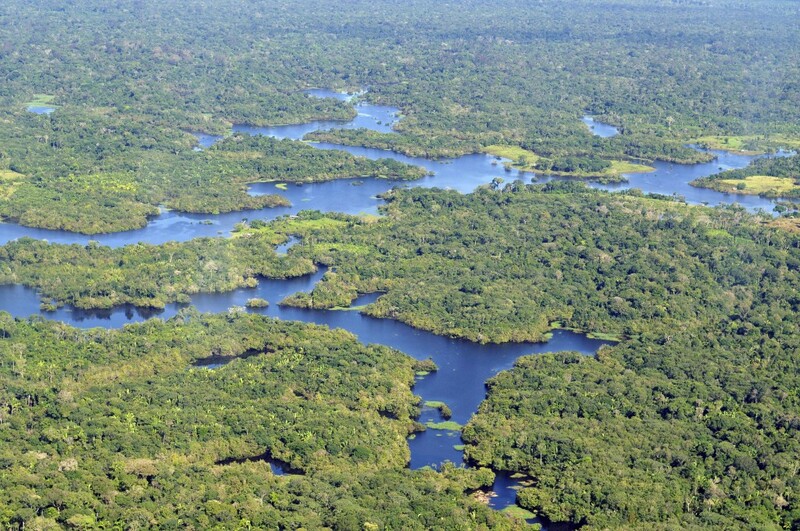 There is no reason for visitors to use this road, as there are plenty of boat routes into the Amazon which are much safer and more scenic anyway. The boats range from fairly basic houseboats with hammocks and shared sleeping quarters to luxury, multi-storey cruise boats with a swimming pool. This really is the best way to get up close and personal with the native wildlife in the jungle, and if you’re lucky you may even get a pod of pink Amazon River Dolphins swimming alongside you! You don’t want to get lost out on the Salt Flats! However, don’t let us put you off, as this is still a trip worth taking! If you are determined to go overland there are night buses from the capital or you can organise a private jeep tour, both of which are safe, comfortable options. The journey takes about 10 hours but the further into the Salt Flats you go the more incredible the scenery is. 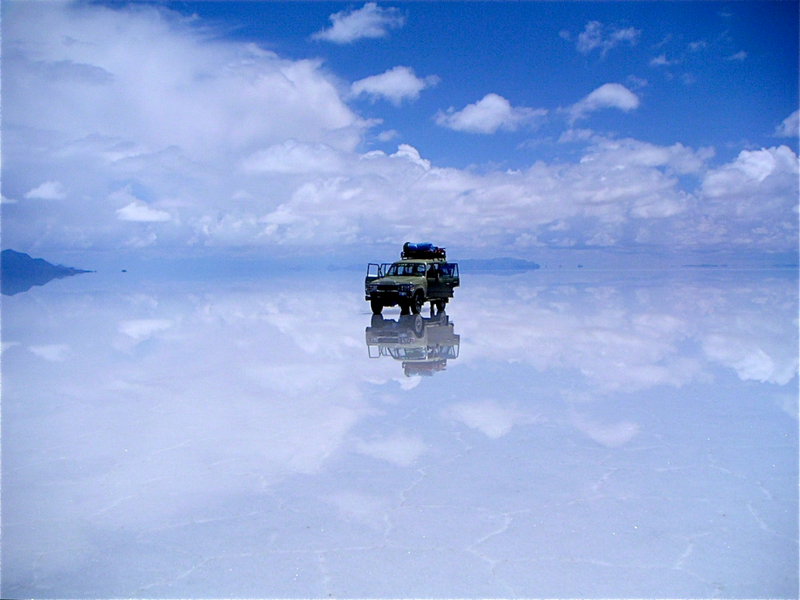 Alternatively you can fly to Uyuni from La Paz which takes less than an hour, and is definitely our preferred route! You need a strong stomach for this one! 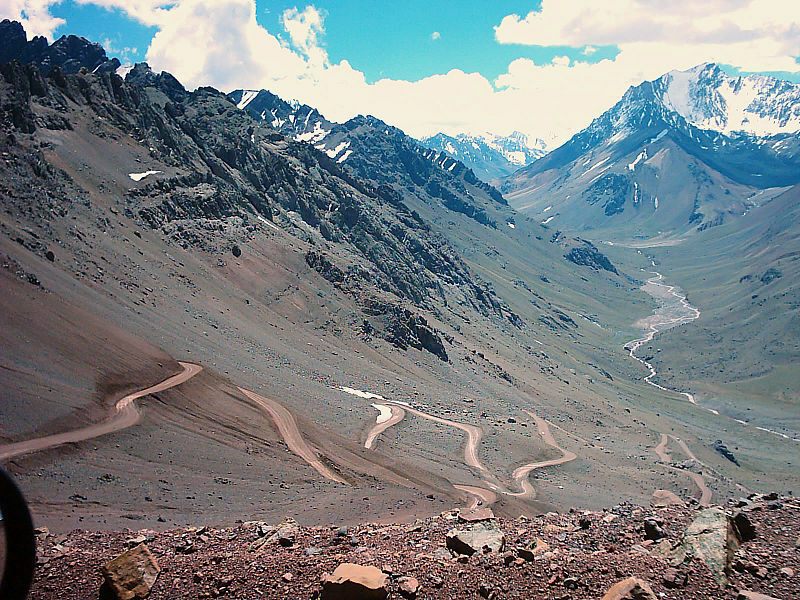 The Paso de los Libertadores, or ‘The Snail’s Pass’ as the locals fondly call it, is the main route over the Andes between Santiago in Chile, and Mendoza in Argentina. For this reason the road experiences heavy traffic, especially cargo vans who are forced to travel at snail’s pace to safely negotiate the often snow covered, zig-zagging road. Although the road is only around 220 miles long, it takes at least 6 hours to drive it, and add that to your wait at the border (which is inevitable!) and you’ve got a full day’s stomach-turning road trip ahead of you! One of the things that makes this one of the worst roads in South America is the threat of altitude sickness as you climb from the lowlands up to the Pass itself. Here the summit of the drive takes you through a 3000 metre tunnel which often closes during the winter due to heavy snow storms blocking the entrance and exit, as well as the risk of landslides in bad weather. If we’ve not put you off then at least get some snow tyres as the route sees snow year-round. Oh, but did we mention that you can fly the exact route and it only takes an hour? No-brainer! 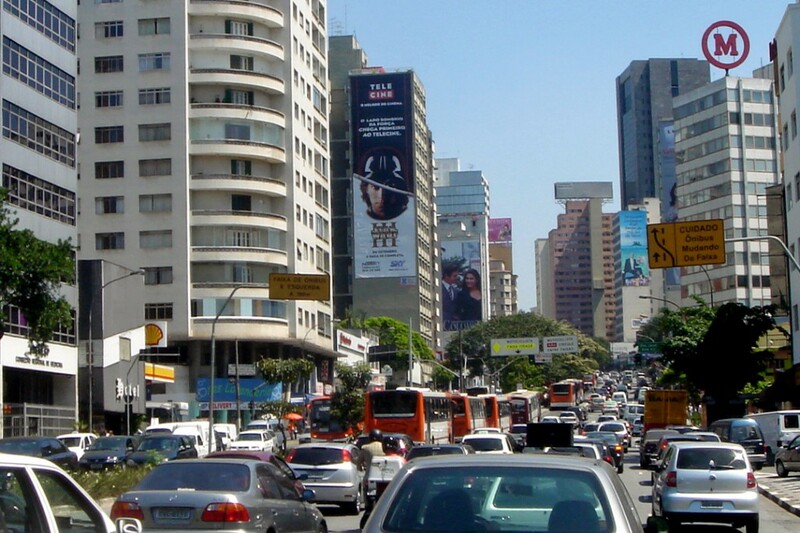 Brazil has a particularly high number of road traffic accidents per year, and driving in cities tends to be congested, confusing and often dangerous. São Paulo is definitely up there as having some of the worst roads in South America in terms of traffic, with many claiming it has the worst traffic jams in the world. Ironically, the roads are in great condition, well signposted and modern, but with queues of over 100 miles common during rush hour we just can’t understand why anyone would want to hire a car here! The Rotating Transit Policy was brought in to try and reduce stand-stills, it states that certain license plate numbers are prohibited from driving on certain days (e.g. plates ending in 1 or 2 can’t circulate on Monday, 3 or 4 can’t on Tuesdays etc.) during rush hour. This just confuses things and further annoys people. All in all we can safely say we would not recommend a self drive in São Paulo. The public transport system is good and there are metro stops all around the city which, although still busy, are a good option for tourists. 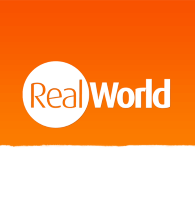 Worst Roads in South America: Best of the Rest! The ‘Devil’s Trampoline’ Road in Colombia is also, comfortingly, known as “adios mi vida!” or “bye bye my life!” and stretches over 40 miles between Mocoa and San Francisco crossing the Andes. It was originally built to transport soldiers in the 30s, but is still in use today and as dangerous as ever with over 100 hairpin bends. The ‘Highway to Hell’, formally the BR116, consists of nearly 3000 miles of federal highway linking the north and south of Brazil. But with the highest concentration of truckers in the country, and its title as the worst road in the world for the sexual exploitation of children (by UNICEF), this is not a relaxing route to road trip along. 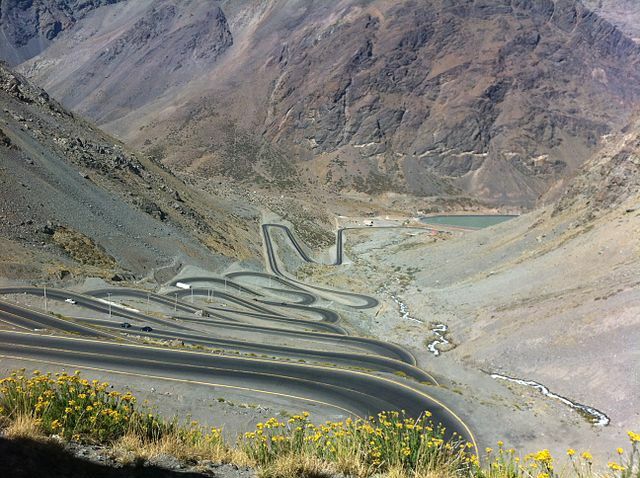 Curvas de Huanchaca on the 3SF Route in Peru is famous for its 24 tight hairpin bends, scaling a particularly desolate stretch of the Andes Mountain Range. This section of the road is only 6 miles long but rises in elevation by nearly 700 metres! The combination of steep, winding hill and sandy, gravel terrain makes this a very undesirable drive. Hopefully this look at the worst roads in South America hasn’t completely put you off the idea of a road trip! There are so many routes which are a great option for self drive holidays, some of our favourites are in Chile and Argentina where the landscape is particularly breathtaking. Imagine driving alongside snow-capped volcanoes and crystal clear glacial lakes as you wind through beautiful Patagonia… And trust us, the roads we’re talking about are much more visitor-friendly! So don’t forget to check out our favourite South America Road Trips!